Gentiana nivalis - Carinthia ( Austria). 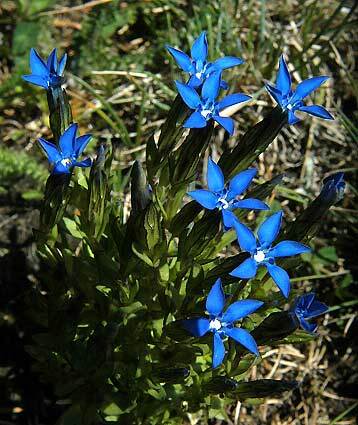 The Snow Gentian is a tiny annual and is found  elsewhere in the mountains of Europe. It grows on crags and rocky slopes.